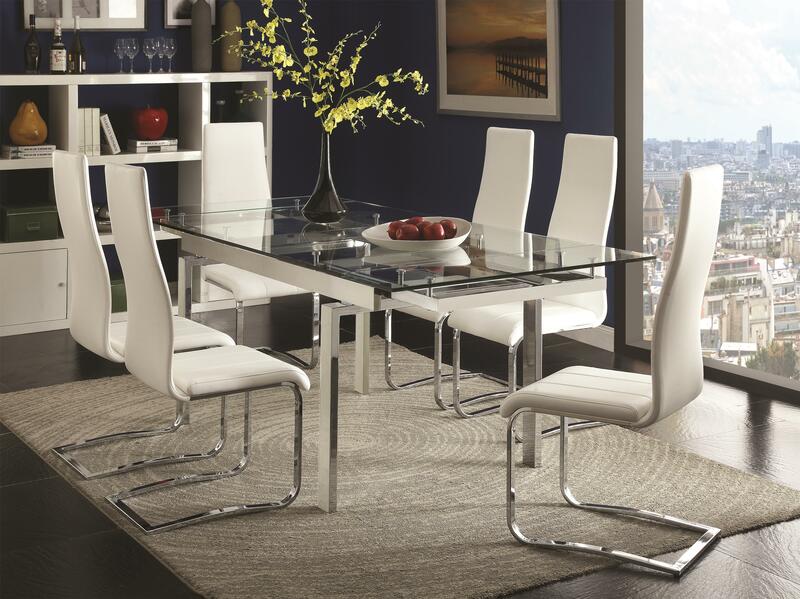 This contemporary dining set is the perfect centerpiece to your dining space. 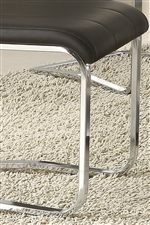 The base of the table is made of tempered clear glass, pairing perfectly with the chrome finished stainless steel. Leaves expand the dining space of the table and can be neatly tucked away when not being used. The mechanical parts of the table are fully visible, adding to the modern design. 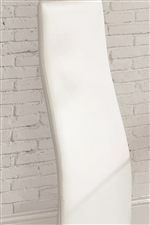 Choose from white or black chairs. The Modern Dining Contemporary Dining Room Set With Glass Table by Coaster at Furniture Superstore - NM in the Albuquerque, Los Ranchos De Albuquerque, Rio Rancho, Santa Fe, Corrales, NM area. Product availability may vary. Contact us for the most current availability on this product. The Modern Dining collection is a great option if you are looking for Contemporary furniture in the Albuquerque, Los Ranchos De Albuquerque, Rio Rancho, Santa Fe, Corrales, NM area. Browse other items in the Modern Dining collection from Furniture Superstore - NM in the Albuquerque, Los Ranchos De Albuquerque, Rio Rancho, Santa Fe, Corrales, NM area.